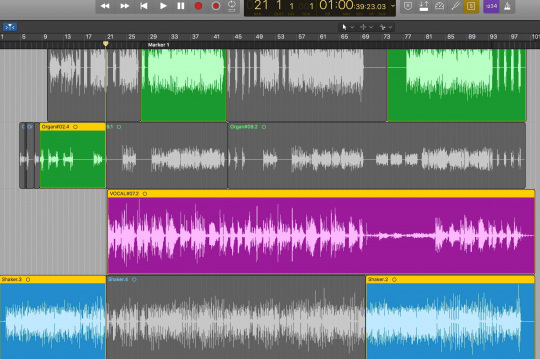 In Logic Pro X, like in most DAWs, there are multiple ways to do various tasks, and often some are more efficient than others. In this excerpt from the video, "Logic Pro X Quickstart," PureMix Certified Trainer Scott Griffin shows us why he doesn't usually access tools through the Tool menu. He says there are faster ways to access the tools or equivalent functions. He opens the Tool menu and goes through it showing the various shortcuts or workarounds he uses for each. First, he looks at the Eraser tool. He says that instead of selecting it and using it to erase Regions, you can simply select Regions with the Pointer tool and hit the Delete button. The Text tool is used for renaming Regions, but Griffin points out that you can do that faster by using the key command Shift + N. What's more, if you select multiple Regions first, you can rename them all in one action. Select the Regions, press Shift+N and rename the one with the text field showing, and they'll all change. Here's an additional tip: If you name the first Region with a number at the end of the name, Logic will increment it in all the successive Regions you selected. The incremental numbering also works if you select Regions and rename them using the name field at the top of the Region Inspector. Select multiple Regions and use the key command Shift + N to rename multiple Regions, and even number them. Next, Scott mentions that he talked about alternatives to the Marquee tool earlier in the video. You should watch the whole video to get the full story, but the upshot is that the Marquee tool, which is by default the Secondary tool, which means you can access it by pressing the Command key, has multiple functions including selecting, cutting, and more. 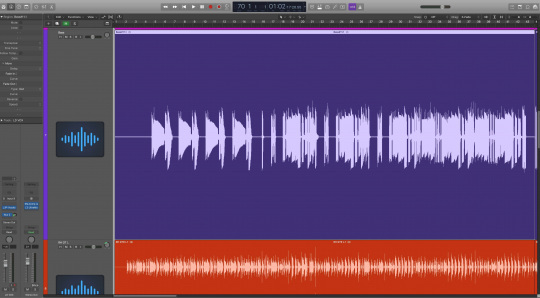 Scott says that if you get proficient in using the Marquee tool—which is pretty straightforward—you shouldn't ever have to access the Scissors tool. Moving on to the Glue tool, Scott points out that you get the same functionality with the Command + J (for "Join") key command. Just use the Pointer tool to select Regions first. 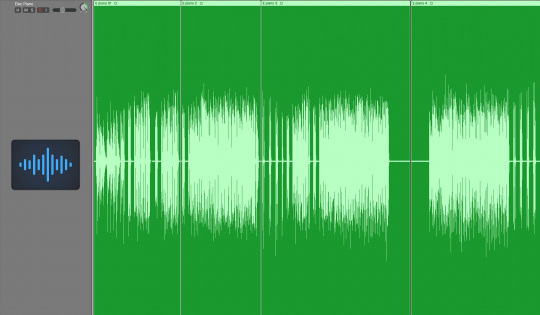 One of the cooler features in Logic's tool collection is the Solo tool, which is designed for Region soloing. Scott explains that you can even set it to solo Regions from different tracks. Here's how that works. Type Control + S to put Logic into Solo mode. Then make your Region selections by clicking on them. You can even select non-contiguous Regions by shift-clicking. Then start playback and Logic will play only the soloed Regions, in the order that they appear in the Timeline. If you have Regions on different tracks that overlap, they'll both play. You can even choose Regions to solo in real time as Logic plays back. Note that if you put a track into Track Solo mode (by clicking on the Solo button in the track header), it will override Region soloing and you'll hear only the soloed track. Next, Scott points out that instead of selecting the Mute tool from the Tools menu, you can simply select a Region and use the key command, Control + M.
Instead of the Zoom tool, Scott explains that you can hold down option and click and drag a zoom area. To return to where you were, hit Z (with the Option key still held down). One thing to keep in mind is that you need to have your cursor over an open area of the Workspace. If it's over a Region, you won't be able to initiate this feature. But, typical of Logic Pro X, there's another way to do it: Hit Control + Option with your cursor anywhere in the Workspace, even over a Region, and it will change to the Zoom tool. One more additional Zoom tip: Hitting the Z key zooms the contents of the Workspace to fit the size of your window. Even cooler, if you make a selection, even if it's just one Region, it will zoom that selection to fit your window, which makes it really large. That's great if you want to focus on a particular Region to edit. With either of these Z-key functions, hitting Z a second time toggles the zoom back. Select a Region and press the Z key, and it will fill most of the Workspace, making it easier to edit. 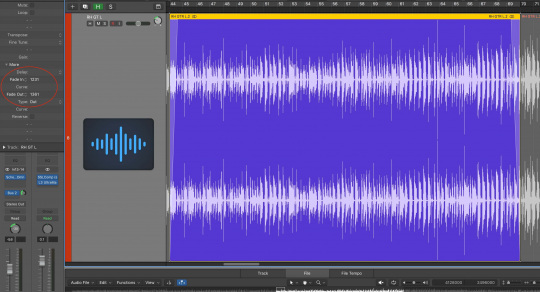 Scott mentions that earlier in the video, he showed a couple of ways to make fades without having to use the Fade tool. One of those ways is to select a Region and in the Region Inspector on the left of the main window, drag in the Fade In field to create a fade at the beginning of the selected Region and the Fade Out field to create a fade at the end of it. If you don't see the Fade In and Out fields you might have to click on the Region Inspector's More tab to open it up fully. The fades created in this manner aren't crossfades but rather single-sided ones that fade in at the beginning of a Region or out at the end. Create Region start and end fades using the Fade In and Fade Out fields (highlighted) in the Region Inspector. You can set Logic to create automatic Crossfades between Regions by selecting X-Fade in the Drag window and dragging the end of one Region over the beginning of the next or the start of a Region over the end of the previous one. If you go into Preferences/General and check Fade Tool Click Zones, you get a Fade tool when you hover near the top edge of Regions, which you can use for making fades and crossfades. Finally, Scott brings up the remaining tools, which include two Automation tools and the Flex tool and says that he'll get into those in a later video.